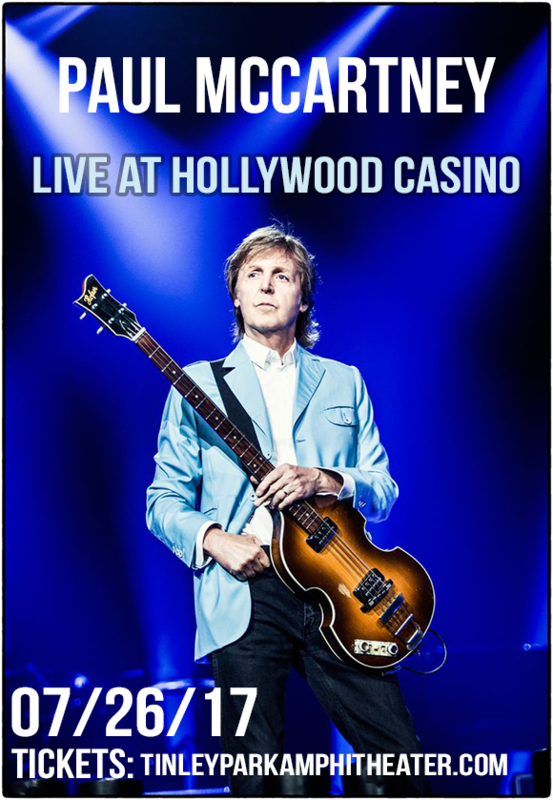 It's the second and FINAL night of Paul McCartney's 2 day stop off at Hollywood Casino Ampitheatre on Wednesday 26th July 2017! You lucky fans will have the chance to see the incredible, legendary Beatle Singer/songwriter, Sir. Paul McCartney as he performs on this very stage… Don't wait around to book your tickets as there's no doubt, this will be a sell out show! And as he brings his 'One on One' tour, although in a big setting, he will make you feel like it's all dedicated just to you. Book here and get ready for this unforgettable summer evening! Paul McCartney is one of the biggest and long-standing artists of all time. As he began his career for many years as part of the classic bands, The Beatles, he was the writer behind some of their much loved catalogue. The one that of course does spring to mind is, Yesterday – beautiful and heartfelt acoustic that has inspired so many to walk in musician footsteps, this single alone has been covered an impressive 2,200 times and counting! And it's no surprise why… it's a timeless and touching song.